The text in the book is a blackout poem I created using a sequence of poems by 15th-century Japanese Zen monk Ikkyu as the source text. 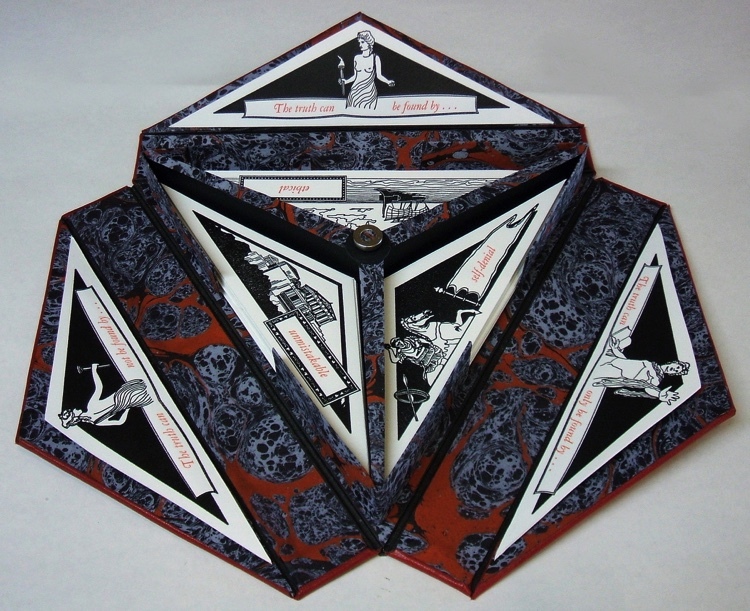 The original sequence–titled Skeletons–is an extended exploration of the same transitory theme as After. I letterpress print the Ikkyu poems in their entirety from polymer plates before creating the new, book-length blackout poem by brushing over certain words with a combination of sumi ink and gold calligraphy ink. 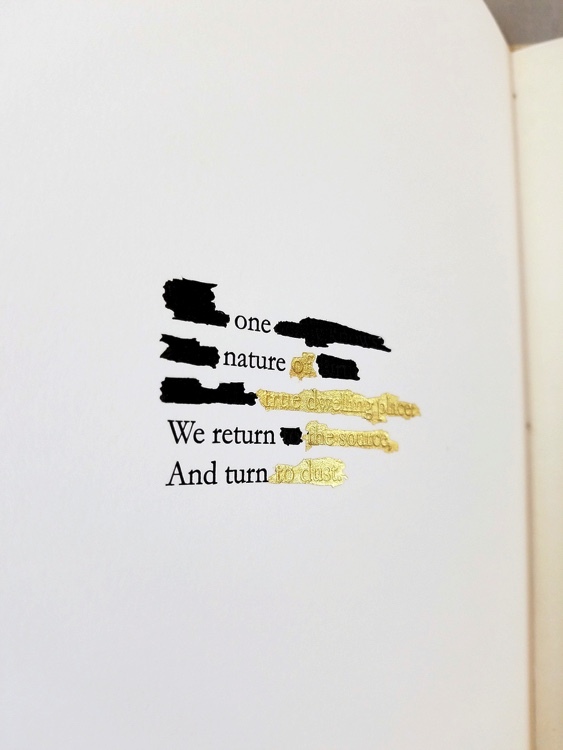 I composed the blackout poem as an ‘intentional’ poem, but I use chance methods to determine which color ink to use when brushing words out: black or gold. For that, I use a printed sheet of randomized numbers between 1-4 that was created by John Cage and my mentor Stephen Addiss for a project they did together in the 1990’s. The numbers determine how many words I black out in one color before switching to the other. 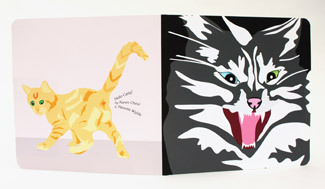 Each copy of the book has a different pattern of blackout coloration. The first phase of the project was supported with a 2017 Ella Fountain Pratt Emerging Artist Grant from Durham Arts Council. 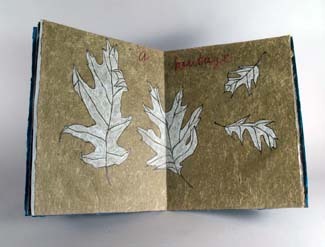 Josh Hockensmith is a book artist living in Pittsboro, North Carolina. 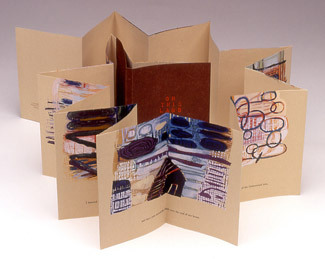 He came to artists’ books as a poet interested in hand bookbinding and DIY publishing. 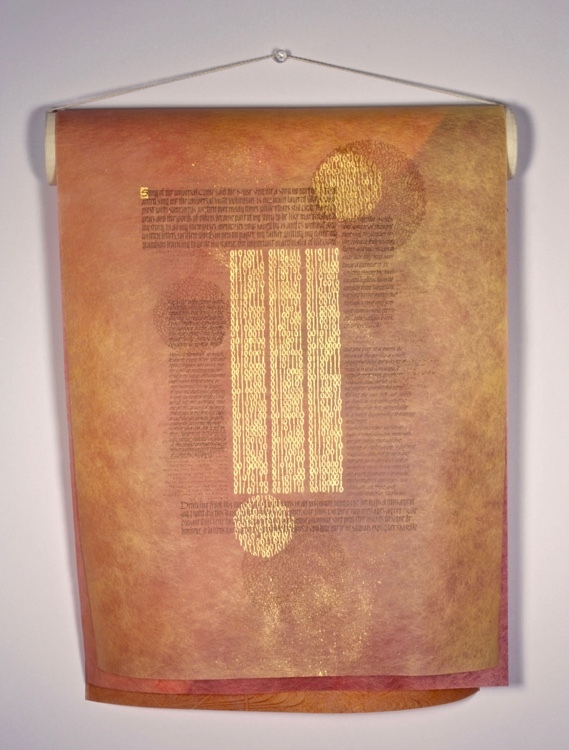 He is interested in the full spectrum of work being created in book form, in the convergence of digital technology and the physical book, and in the history of the book as the complicit vehicle for our strangest, most wonderful, most powerful creations through the ages. Originally from Hanover, Pennsylvania, he has a BA in English from the University of Richmond and works at the Sloane Art Library at UNC-Chapel Hill.